Arrival in Guyana at Moleson Creek – just off the ferry from Suriname. 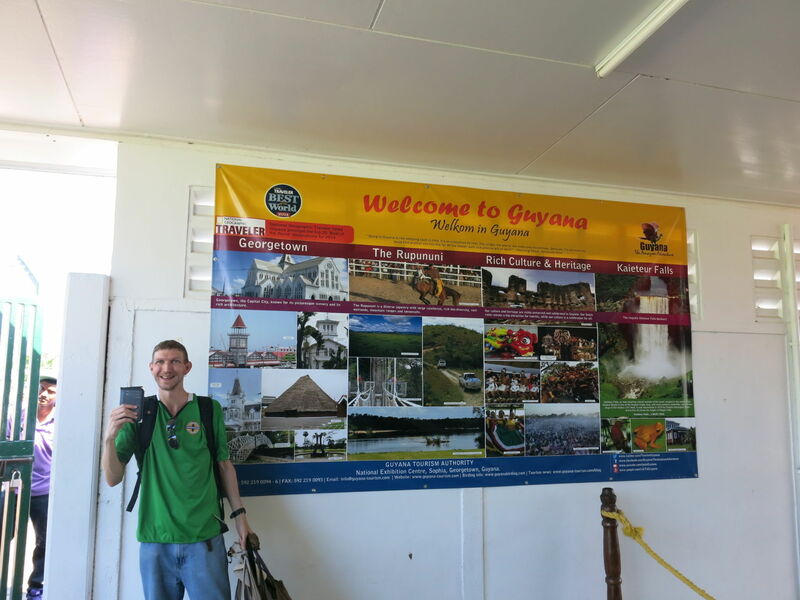 I finally completed my “hat-trick of the Guyanas” by visiting Guyana itself – the former British colony once known as British Guyana, now simply Guyana. I crossed to all the Guyanas overland and have previously shared my advice on getting from Brazil to French Guyana and from French Guyana to Suriname. 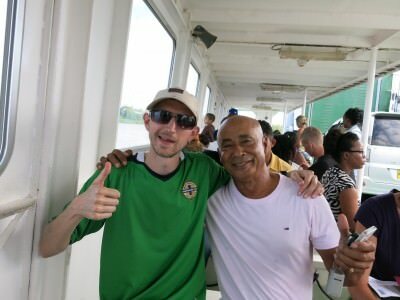 Time to keep the match ball as I nabbed the hat-trick crossing from Suriname into Guyana and will show you how to do it too. 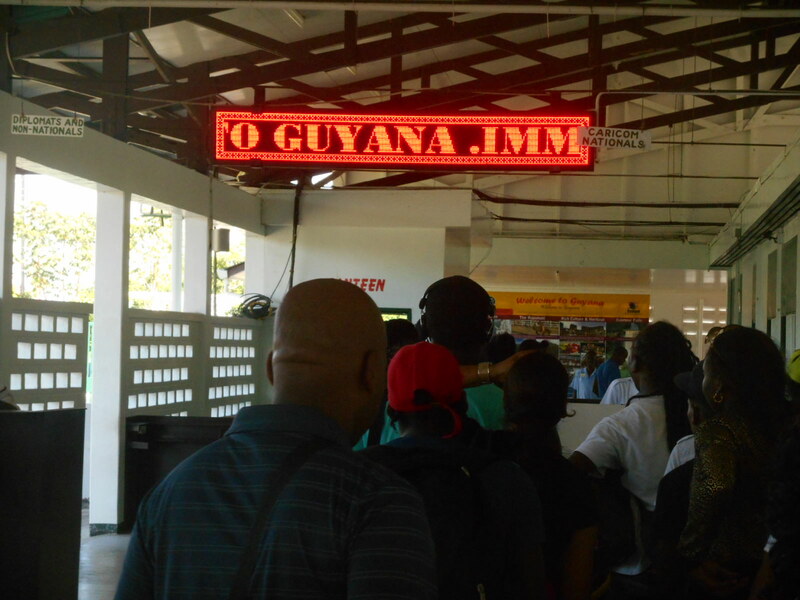 World Borders: How to get from Suriname to Guyana. 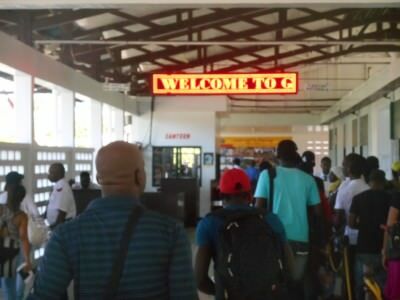 Most people crossing from Suriname into Guyana will have been to Paramaribo at some point, or more than likely will leave from Paramaribo, Suriname’s eclectic capital city. 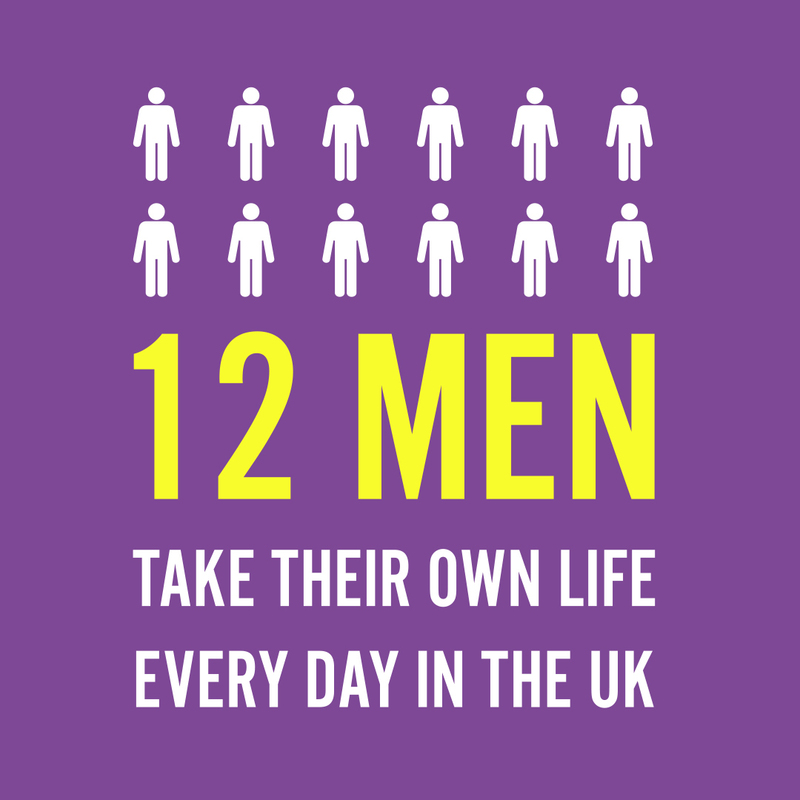 On public transport, the common option is to book with either Bobby’s Minibus or with Joh-nny’s Bus and Taxi. Both services offer the same thing – the most common journey being to just go direct from Paramaribo to Georgetown. 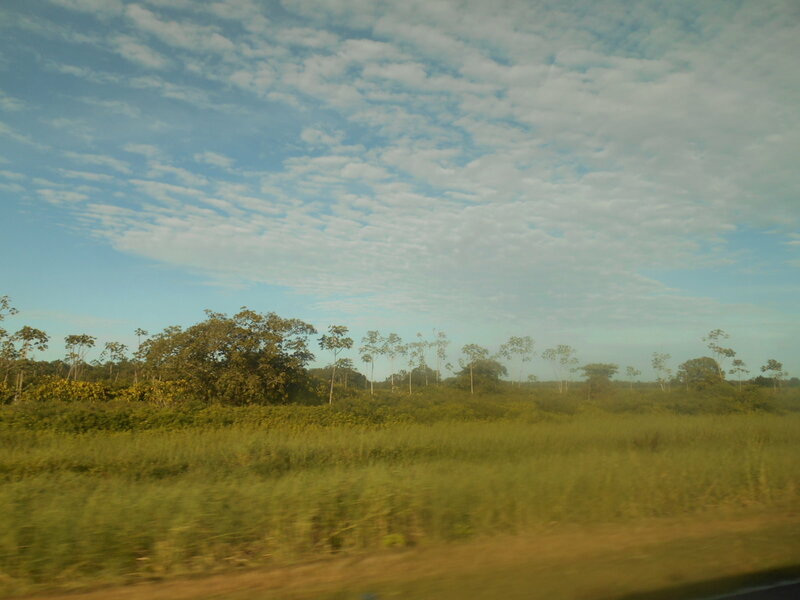 Views on the road from Paramaribo to Nieuw Nickerie. 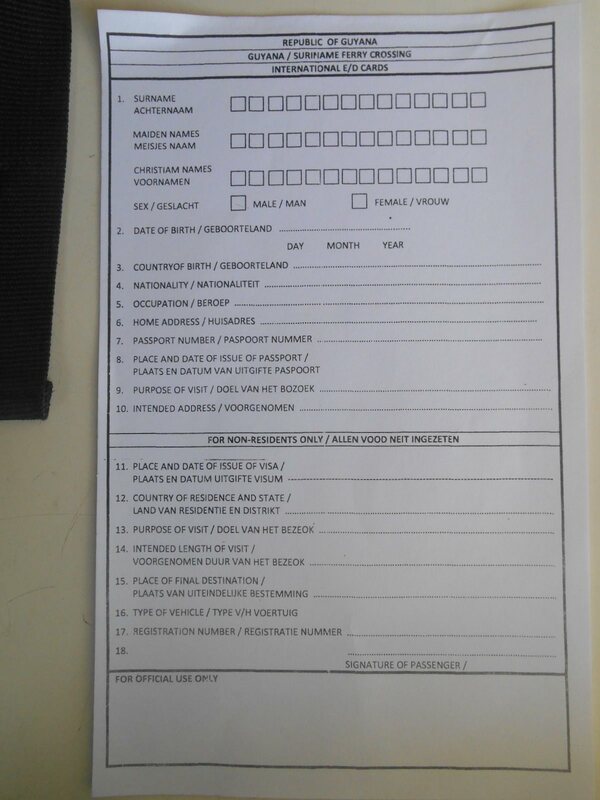 We also decided to pick this option and booked with Joh-nny’s bus and taxi. Your guesthouse should know the contacts numbers for these places, as of July 2014 Johnny’s taxi is number 08652080 or 08805210. 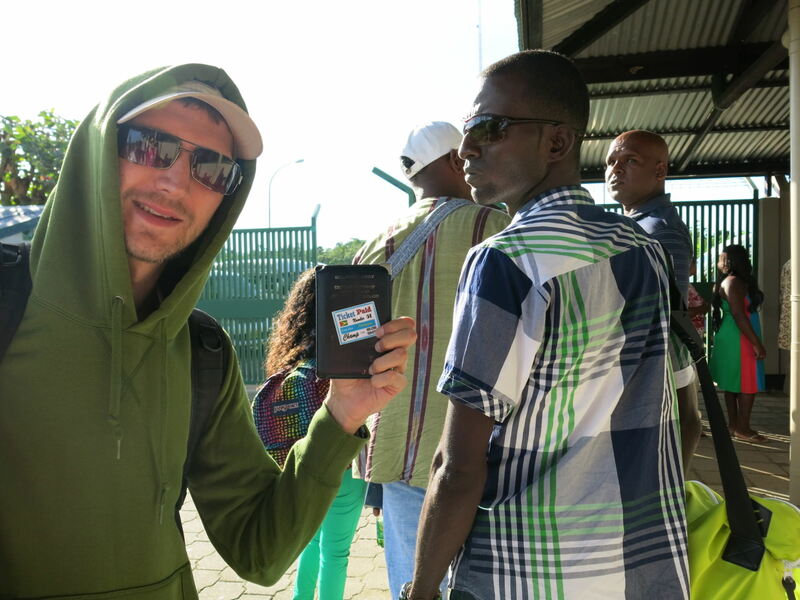 Joh-nny’s taxi can be paid in US Dollars or Surinamese Dollars and the price is $30 US. 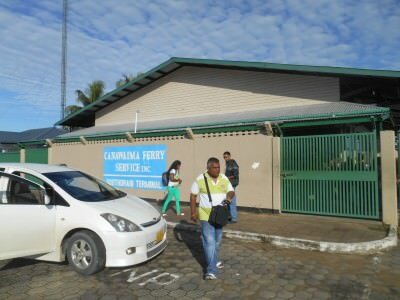 To get from Paramaribo to Georgetown will involve four different parts to the journey (2 minibuses, 1 ferry, 1 shared car), paid in two separate installments, so as well as the payment to Joh-nny’s taxi, you also have to pay for your ferry at Canaima. View from our seat in Joh-nny’s Taxi. 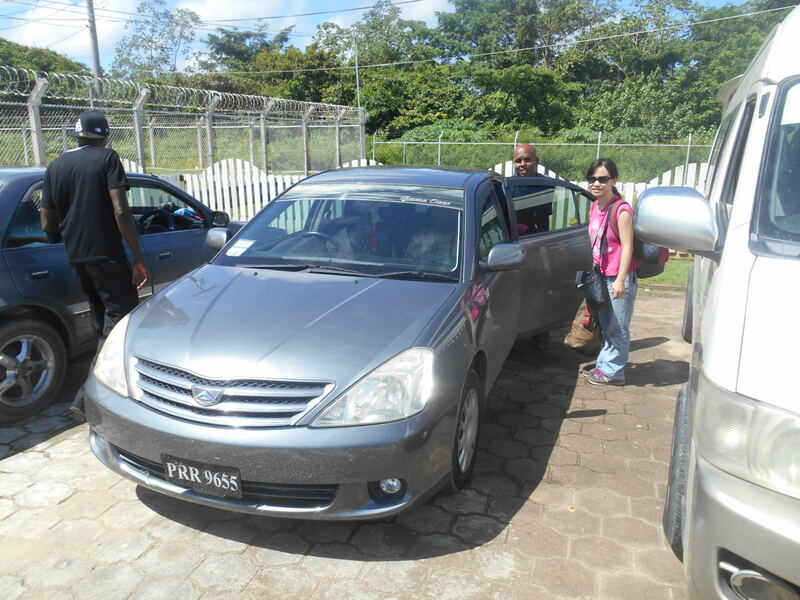 To start with, Joh-nny’s taxi service will pick you up from where you are staying in Paramaribo. 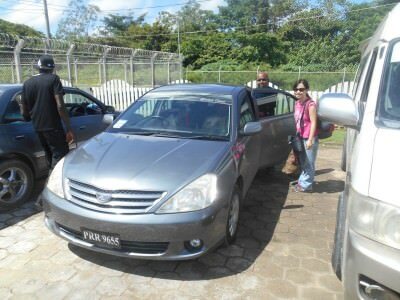 We stayed at the Etienne’s Unique Apartments in Paramaribo and Joh-nny’s driver turned up at 4.15 am to pick us up. It’s always an early start leaving Paramaribo as you need to be at the border to catch the once daily 11am ferry to Guyana (or twice daily, but you’ll miss the earlier one). We set our alarms for 3.45 am and had packed the night before. Joh-nny was there at 4.15 am, with 2 other passengers. 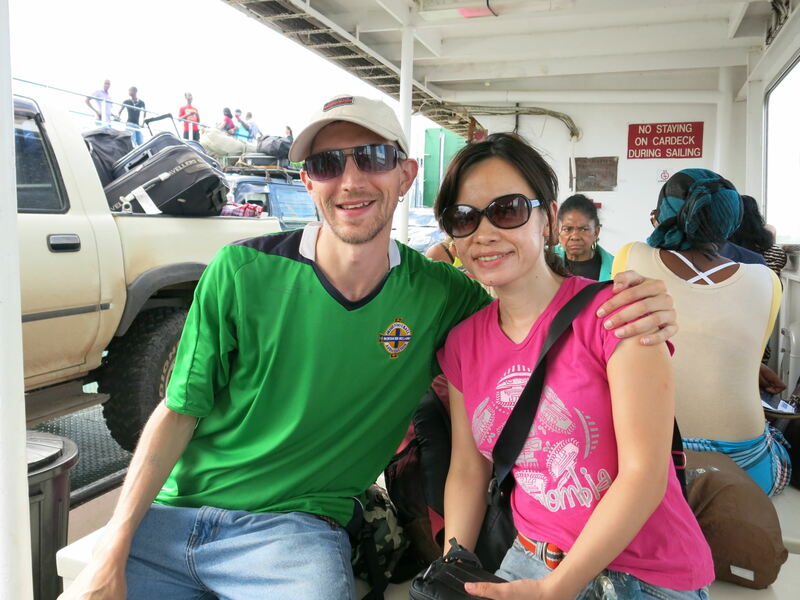 We picked up two more people and headed on the road to Nieuw Nickerie. 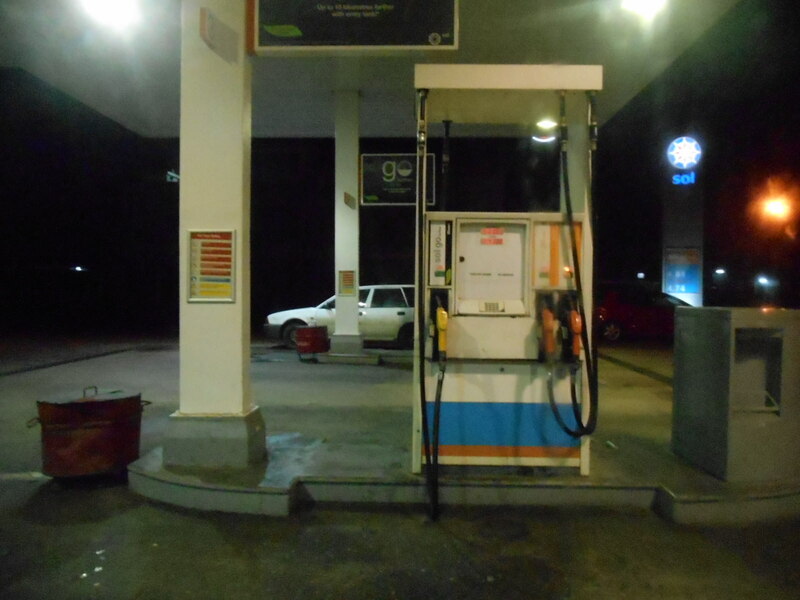 Petrol stop on the edge of Paramaribo. The road to Nieuw Nickerie we were told wouldn’t be a great road, but it was fine. It certainly wasn’t anywhere near as bumpy as the Macapa to Oiapoque trip. We had a stop off for toilets and buying food/drink at Coronie. 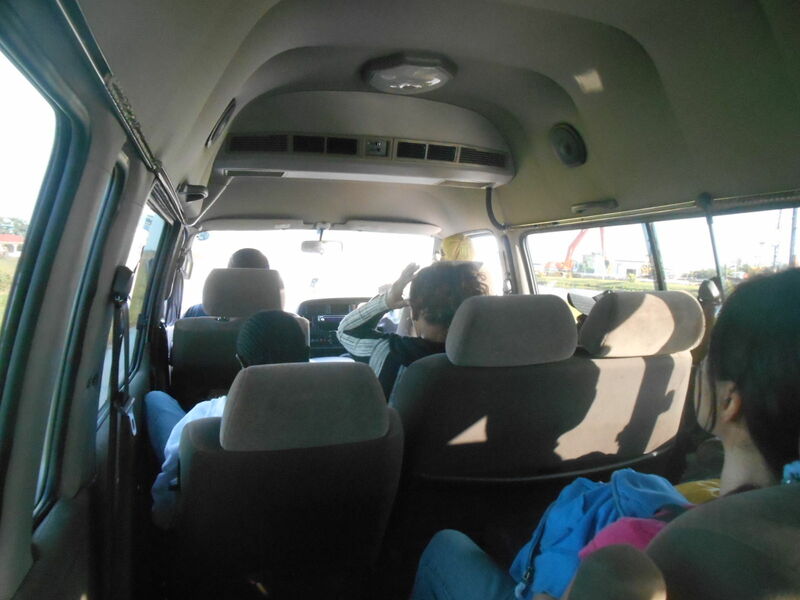 Then at Nieuw Nickerie we changed from a 7 seater car into a larger minibus for the final part of the drive down to South Drain. The stop off in Coronie half way to the border at South Drain. 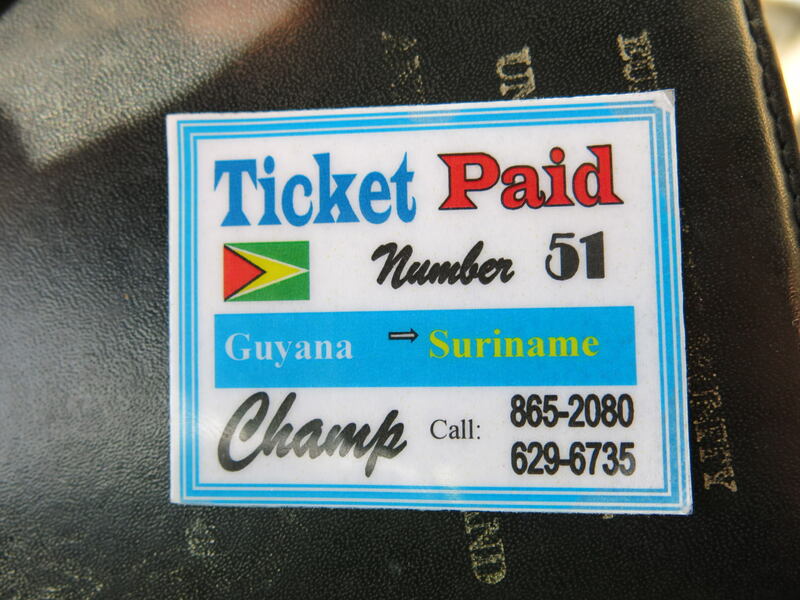 Ticket from Guyana to Suriname. 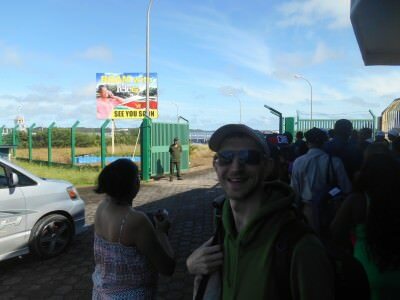 We arrived at South Drain around 10.15 am and were due to get the 11am ferry to Guyana. The queue was long and the heat was intense. The first part of queuing you are simply queuing for your ticket for the ferry. It’s busy but the ferries are pretty big so no advance booking is required (unless there happens to be a crazy busy festival on). 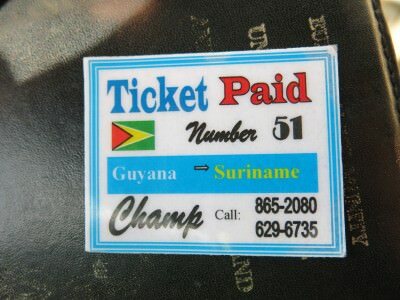 We didn’t think ahead and only ordered 2 single tickets at first, which came to 106 Suriname Dollars. However we were only going to Guyana as a side trip and would be coming back into Suriname the following week. 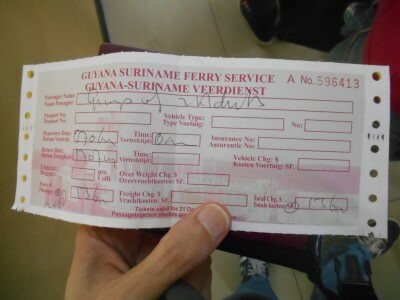 Our ferry ticket from Suriname to Guyana. 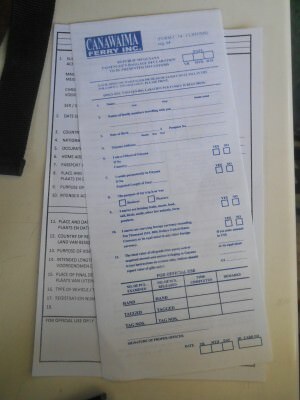 When we realised most people had bought a return, we went back up and changed the tickets for a return. 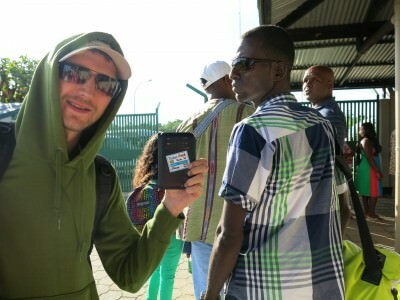 A return only costs 136 Suriname Dollars for 2 passengers, so we went for that – it’s an open return as long as you go back within 30 days. 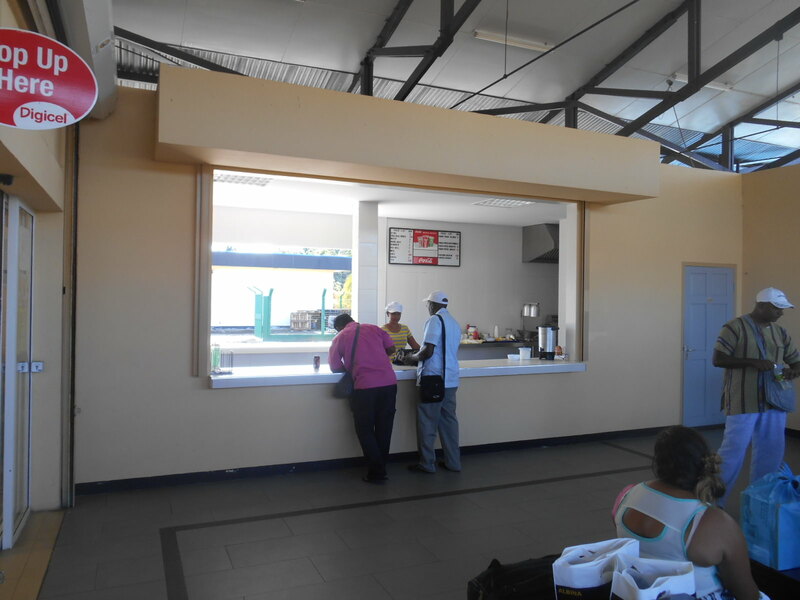 So 68 Suriname Dollars per person for the return, working out at 34 Suriname Dollars one way. 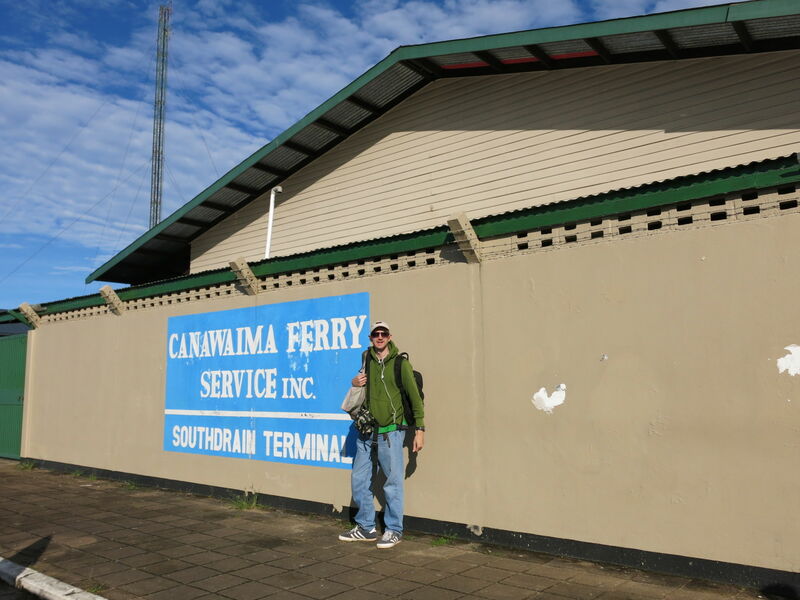 Leaving Suriname at South Drain. 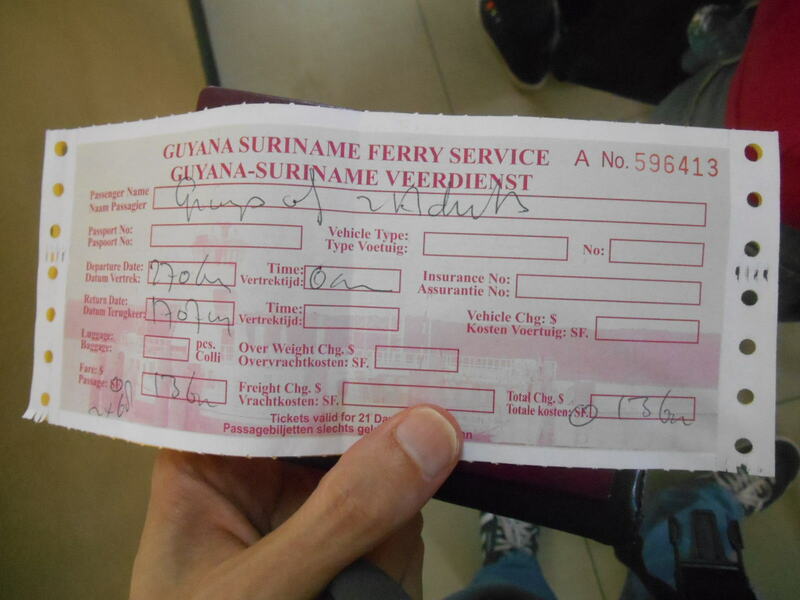 Once the tickets are issued for the ferry, then you get a quick bag search and get your Suriname exit stamp. It was all very efficient and friendly. Don’t forget they speak Dutch here so just saying “Dank ya Vel” is common courtesy. 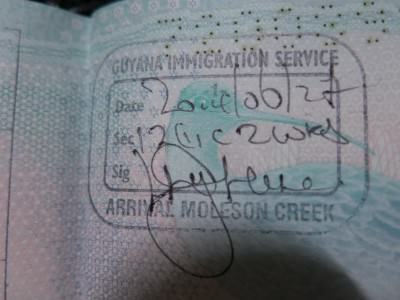 I had a multiple entry visa for Suriname and they might ask you where you are going after Guyana. Other than that, you get your exit stamp and head outside. It’s very simple. 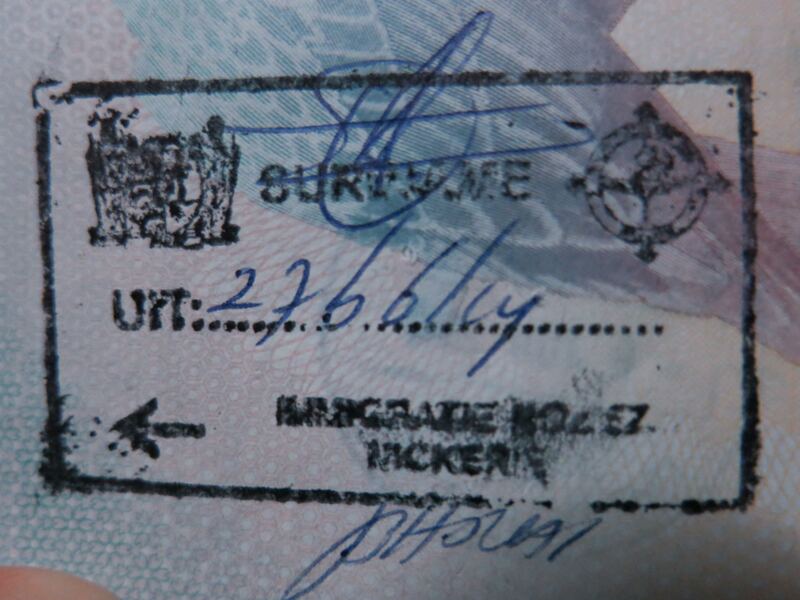 My exit stamp for Suriname at South Drain. 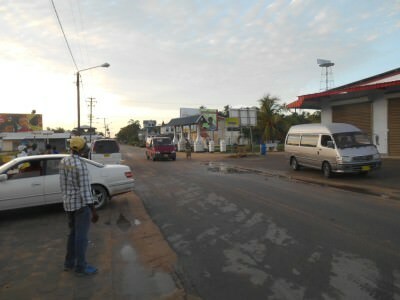 Ready to leave Suriname for Guyana. Then it’s time to wait for the ferry to offload and board the ferry. The ferry takes vehicles and people. It reminded me of the Portaferry to Strangford ferries in Northern Ireland and the ferry to Bruny Island in Tasmania. As foot passengers, you just walk along the ramp and onto the ferry. Boarding the ferry from South Drain to Moleson Creek. 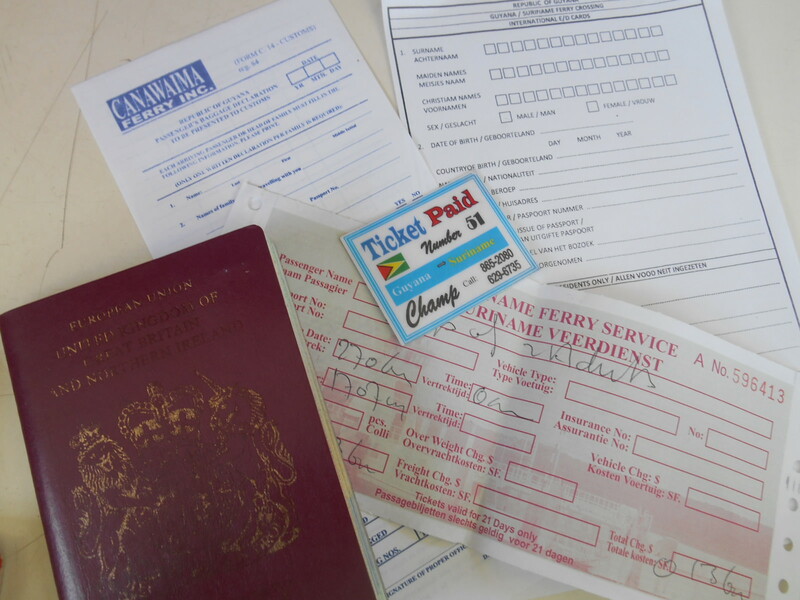 You are given your Guyana arrival immigration forms before getting on the ferry. You can fill these in during the crossing. 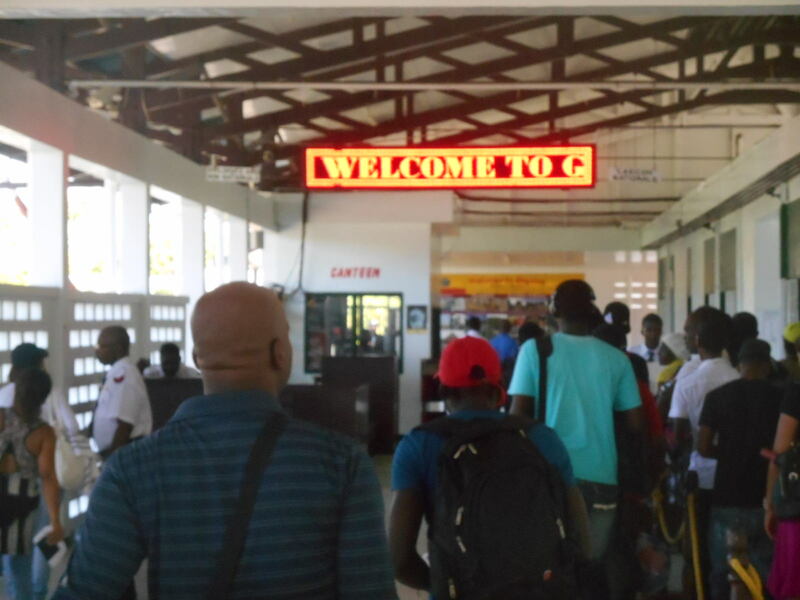 They are very simple and straight forward – I won’t go into the process in detail (are you carrying drugs, have you been banned from Guyana before etc.). 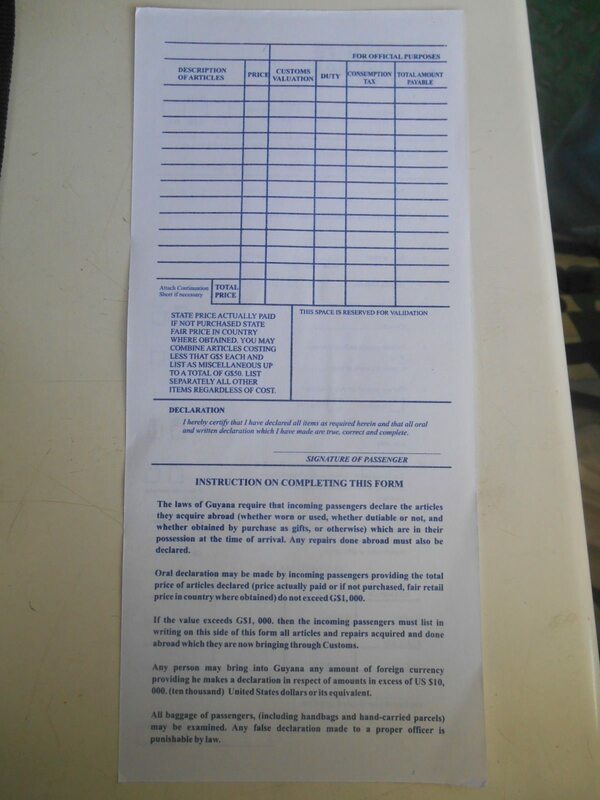 Here is what the forms look like. It’s a pleasant calm and relaxing journey. Enjoy the views, sit down and fill in your immigration forms. I cannot remember the exact time the ferry takes, but around half an hour I think. I sat and chatted to some of the other passengers – Panny and I seemed to be the only two backpackers, though the boat had a mix of black and white people so it was hard to tell. 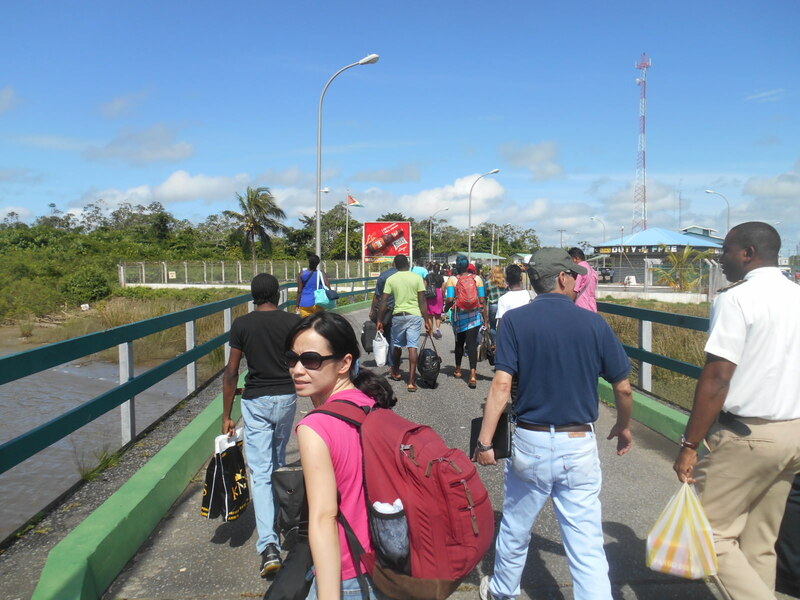 Panny and I crossing into Guyana by ferry. 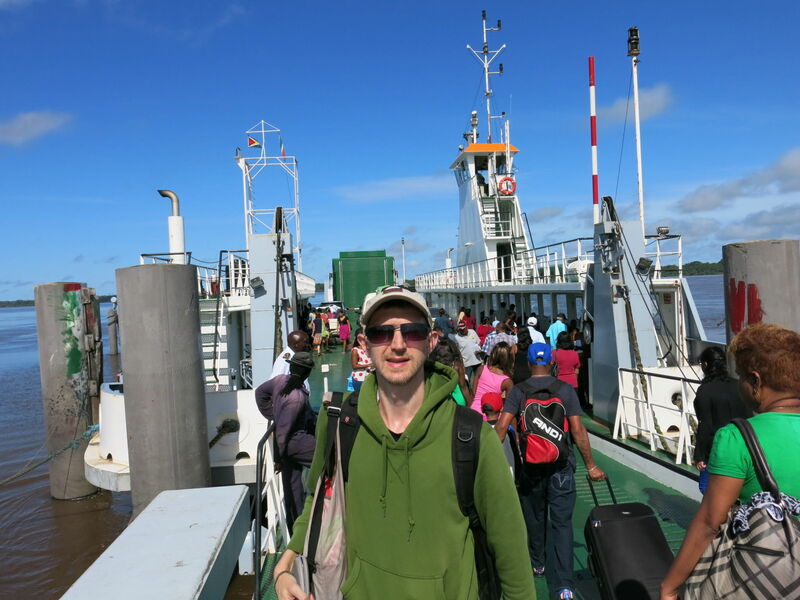 Chatting to some of the locals on the ferry across to Moleson Creek in Guyana. 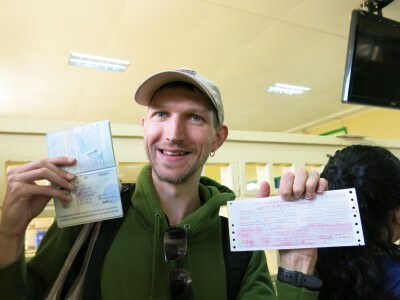 You’ll already have filled in your immigration forms on the ferry and if you need a visa for Guyana, (which I didn’t) you’ll already have got it (I presume!) 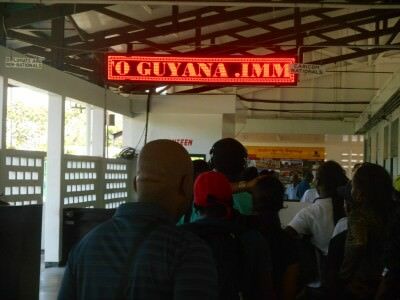 so all that remains is to walk off the ferry into Guyana and join the immigration queue. All the things you need – your passport – your ticket for Johnny’s taxi and the 3 immigration forms. 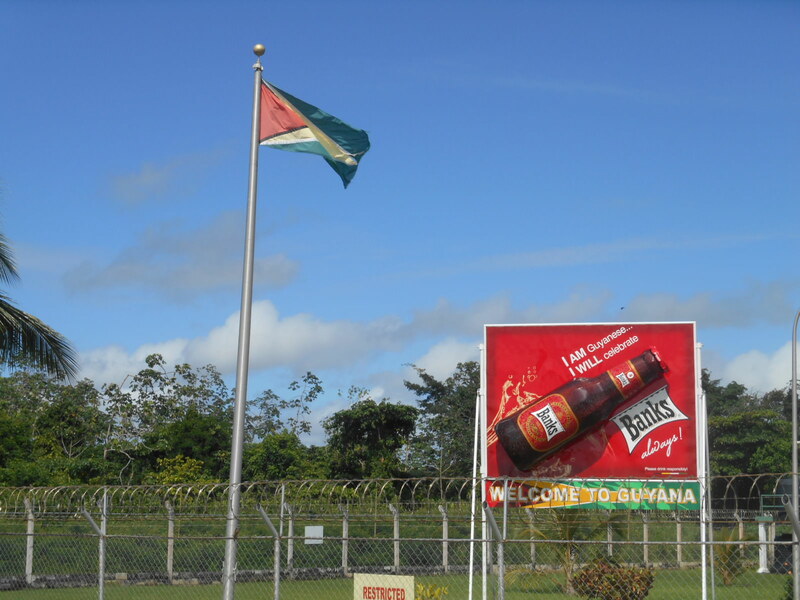 Guyana flag and Banks Beer Advert on arrival at Moleson Creek. 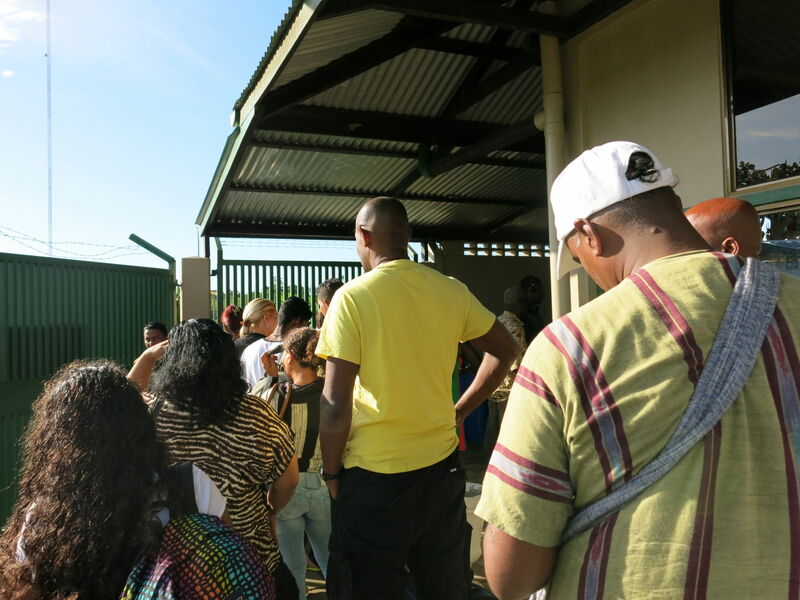 Guyana immigration queues on arrival in Moleson Creek. 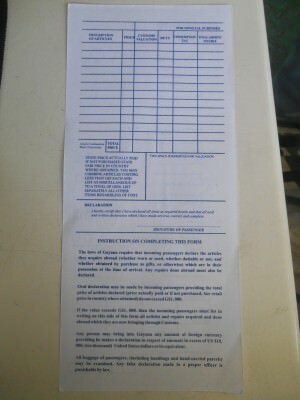 It’s a simple process and you get a stamp at the desk. I got a stamp which allowed me to stay for 2 weeks, as I specified that on my form. Perhaps if you put 30 days you will get 30. 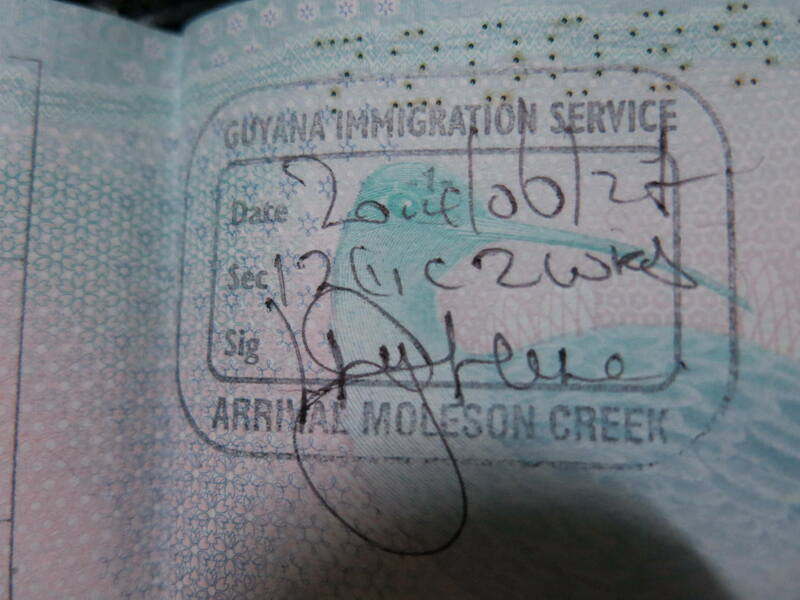 My arrival stamp for Guyana at Moleson Creek. Once you are through immigration you need to find the Johnny’s Driver on the other side. 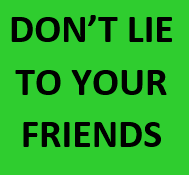 This can prove difficult in fact but ask around and we eventually found him and we joined a shared car of 5 at Moleson Creek, which takes you all the way to Georgetown. It was the fourth mode of transport for the day. Our connecting car in Moleson Creek in Guyana to drive us all the way to Georgetown. 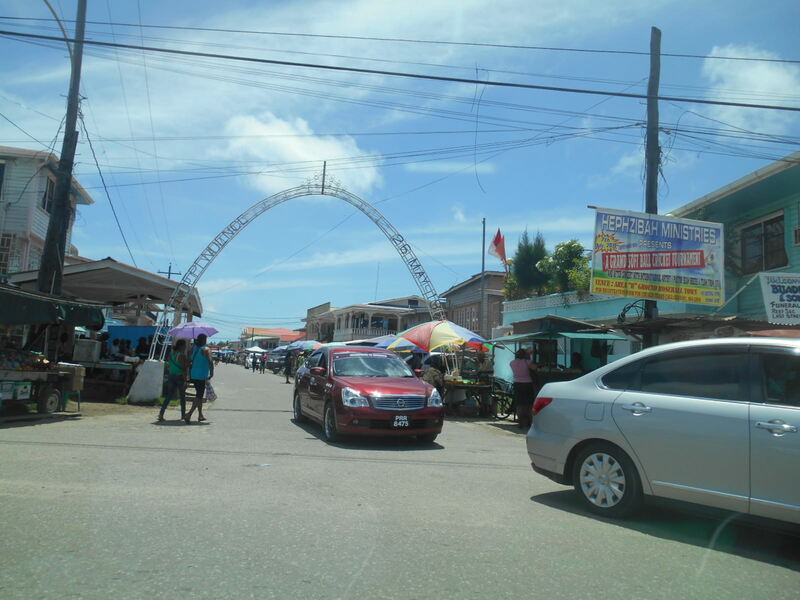 We had a brief stop at Corriverton and then drove all the way to Georgetown in Guyana. At Georgetown we arrived around 12.30 pm, meaning the whole journey from Paramaribo had taken around 8 hours. The drive from Moleson Creek to Georgetown. Not too bad when you consider the wait for the ferry and immigration on both sides. Once we arrived in Georgetown, we got dropped off by our driver right outside Rima Guesthouse in Georgetown. 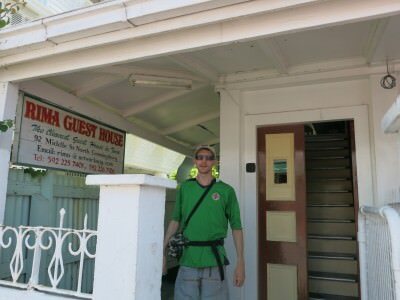 Arrival in Georgetown – Rima Guesthouse. This entry was posted in Destinations, Ferries, Georgetown, Guyana, Moleson Creek, Paramaribo, South America, South Drain, Suriname, World Borders. Bookmark the permalink. Thanks for this post, Jonny! 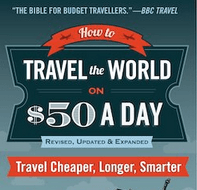 It’s really useful for those who’re used to travelling by car everywhere! 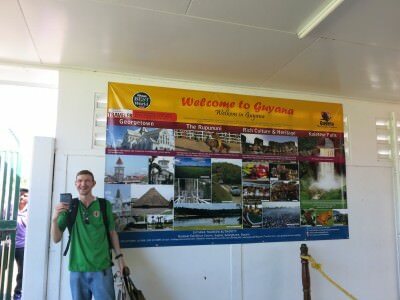 I’ll follow your advice, I’m visiting Guyana next year and now I know how to get there in a more interesting way! Thanks for the detailed trip report, Jonny. Really helpful. I’m planning to take a similar route myself in the next two months.